Pioneer Log Systems is a manufacturer and distributor of custom log, post and beam and timber frame structures. We partner with a growing dealership program of highly skilled representatives and home builders to provide handcrafted heavy timbers for custom log homes, timber frame homes, timber trusses, architectural beams, mantels, and a wide variety of other timber products. 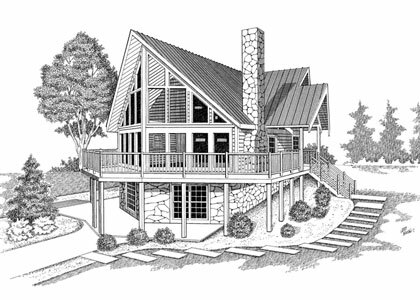 If you are needing a reliable & trustworthy log home builder give us a call today at 615-952-5647. Our exceptional craftsmanship and reliable timber sources, accompanied by attention to detail and customer service make Pioneer Log Systems a leader in log homes and timber frame structures throughout the country. Pioneer Log Systems specializes in building the following styles of log homes. Please click on any style listed below to view pictures and learn more. Pioneer Log Systems has a wide variety of custom log home floor plans that you can use to build your custom log home or you can work with Pioneer to customize a log home floor plan with our house plan design services. You’ll find Pioneer log homes and timber frame structures in Nashville, Knoxville, Chattanooga, and throughout the country. Pioneer Log Systems takes pride in our products and services and it shows with every home we build and our many satisfied customers. We have over 30 years of quality and tradition in the log home and timber frame home construction industry. Our commitment to excellence and customer satisfaction is the cornerstone of our success. We are proud members of the National Home Builders Association, Log Home Council, and Better Business Bureau. If you are needing a reliable & trustworthy log home builder give us a call today at 615-952-5647 or click below to request a quote.